You are eligible to upgrade your account to enable the Hot Lead Calls add-0n. The cost of the add-on is $10/month and that covers all Users in your turboDial account. Login to your turboDial account at https://sd123.customerhub.net to find your upgrade button. You can also find a “Downgrade” button there – you can remove this feature at any time. Immediately call a new Lead, even while away from your office! This feature automatically initiates a phone call from you to your Lead. It calls your phone first and announces the Lead then gives you the option to connect to them immediately with a phone call. And when that call is complete you can choose a turboDial Call Outcome for the call, right from your phone. 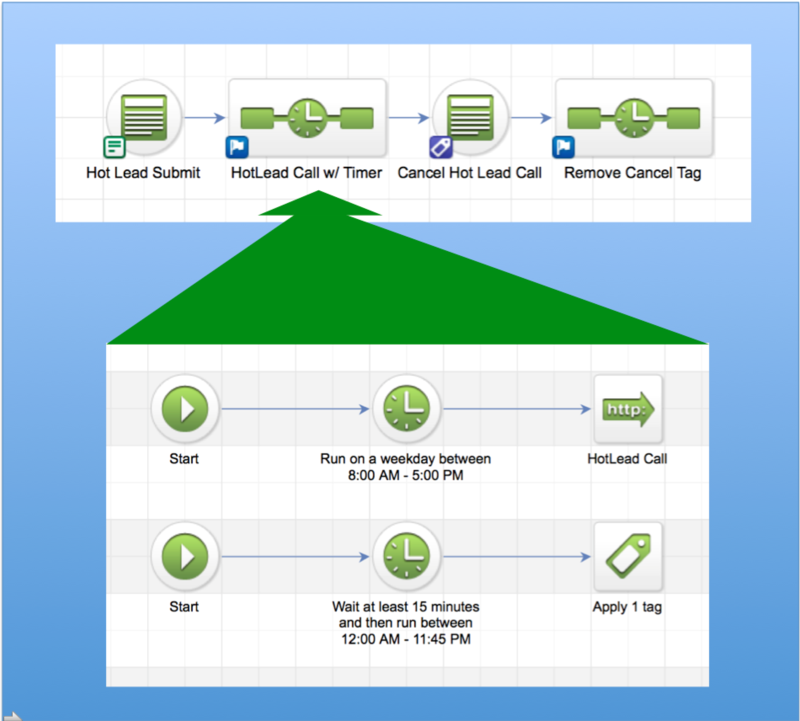 And as you know, your Call Outcomes can trigger campaign automation in infusionsoft. Imagine – you’re driving back to your office and you get a call from turboDial with a Hot Lead. You immediately connect to them and close the sale, and then apply a Call Outcome that sends them a quick thank you email – all before you even arrived at your desk! When your agent answers a Hot Lead Call they will hear your configured message explaining what the nature of this call is. Then they will hear options for rejecting the call (press 0), accepting the call (press 1), or accept and record the call (press 2). When they accept the call turboDial begins ringing the lead’s phone. When turboDial initiates a Hot Lead call there is a possibility you will not be available to answer. In that case turboDial will try again 5 minutes later, then wait another 10 minutes and retry, and then wait a final 15 minutes and retry. So you will have 4 opportunities to answer the Hot Lead call within 30 minutes. In case 1 and 2 you might prefer to drop the call and try calling the lead right back again. Sometimes the lead will answer personally on that second call because the first call got their attention. Case 1: You can drop the call while it is ringing by pressing the * key on your phone. turboDial will then offer you the option of pressing the # key to trigger an immediate retry. You can hangup, or if you press the # key turboDial will immediately start again and ask you to accept the Hot Lead Call by pressing 1 or 2. If you do not drop the call and allow it to keep ringing until turboDial times out, turboDial will then offer you the Call Outcome options even though the call did not connect. If you choose a Call Outcome it will be stored in a Note Record titled “turboDial: Notes” since no call was actually connected. Or, if you instead press the # key on your phone turboDial will immediately start again and ask you to accept the Hot Lead Call by pressing 1 or 2. Or you can just hangup. Case 2: Before or after leaving a message you can drop the call by pressing the * key, and like any Hot Lead call that has connected turboDial will then offer you the Call Outcome options. Or, if you instead press the # key on your phone turboDial will immediately start again and ask you to accept the Hot Lead Call by pressing 1 or 2. Or you can just hangup. Case 3: At the end of the conversation you can drop the call by pressing the * key, and like any Hot Lead call that has connected turboDial will then offer you the Call Outcome options. Or you can just hangup. Case 4: Even though the call did not connect turboDial will offer you the Call Outcome options. If you choose a Call Outcome it will be stored in a Note Record titled “turboDial: Notes” since no call was actually connected. Or you can just hangup. 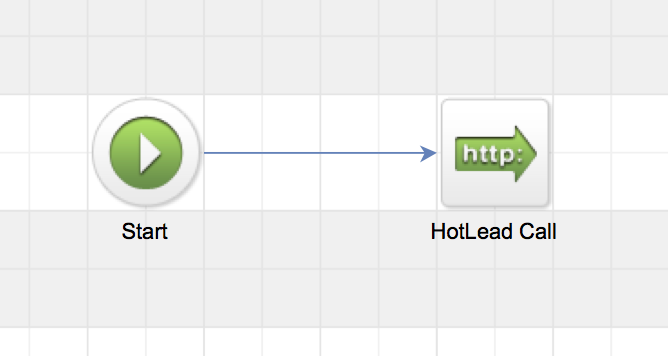 Your Hot Lead Calls are initiated with an HTTP POST process in an Infusionsoft campaign. 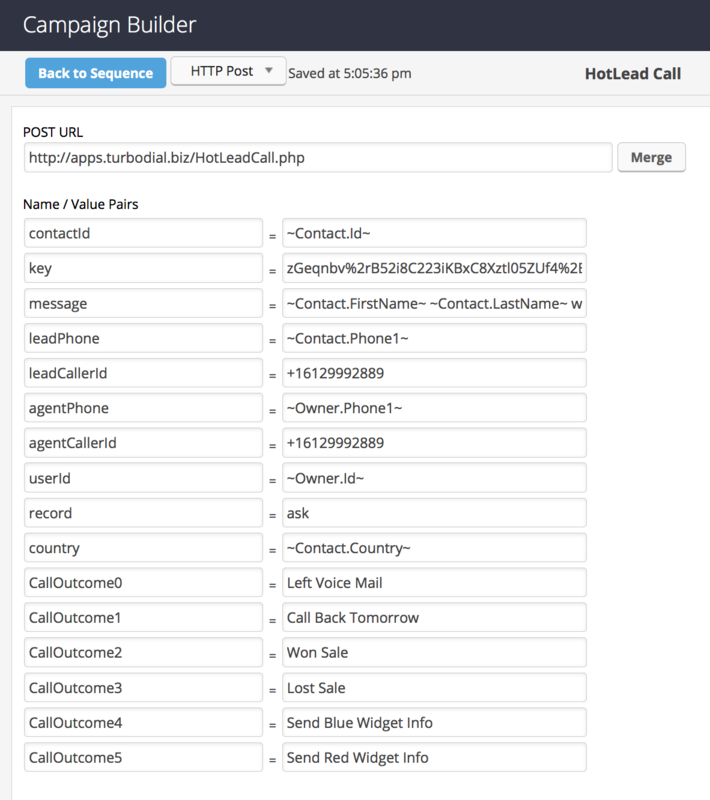 There is no limit on the number of different Hot Lead call types you can configure – and install a unique HTTP POST for each. Do not initiate a Hot Lead Call from a campaign that may be triggered to run for a large number of contacts simultaneously. Why? Because it could result in many contacts simultaneously taking an action that starts the Hot Lead Call. Then you will be inundated with calls and will miss the opportunity for most of them. Consider this example: You have a Web Form Goal in a campaign that initiates a Hot Lead Call. Then you send an email broadcast to 250 contacts and the email offers a strong reason for a contact to click the link and fill in your Web Form. It’s a good offer, and 10% of your contacts click the link within 15 minutes of receiving the email. You are now going to receive 25 Hot Lead Calls from turboDial in a span of 15 minutes – far more than you can successfully process. Place your Hot Lead Calls in campaigns where your contacts are likely to be acting individually, rather than en masse. The method to initiate a Hot Lead Call from your Infusionsoft campaign is to use the HTTP POST process in a Campaign Builder Sequence. Please use the following template as a guide for setting up your HTTP POST. message Please Call ~Contact.FirstName~ now! The key is the encrypted string turboDial assigns to you. Your key is provided in the field above and you can copy it to your clipboard. Be sure to capture the entire string when you copy it. The message value is the announcement for your Hot Lead Call. This message will be spoken to your agent when your agent answers the Hot Lead Call. It can be up to 1000 characters long. You can use merge fields in the message, as shown in the partial example above. The leadPhone is the phone number of the Infusionsoft contact you want to connect to. You will normally use a merge field for this, as shown in the example above. The leadCallerId is the Caller ID you want to display to the contact when the call arrives to their phone. This Caller ID value must be one of the Caller IDs from your list in turboDial. You will not be able to merge in this value – enter it using International number format starting with +countrycode, for example: +13125551212. The agentPhone is the phone number of the phone in your business that will be called at the beginning of a Hot Lead Call. You may be able to merge it in as shown in the example above. Otherwise, enter it using International number format starting with +countrycode, for example: +13125551212. The agentCallerId is the Caller ID you want to display to the agent when the Hot Lead call is placed to their phone. This Caller ID value must be one of the Caller IDs from your list in turboDial. NOTE: Avoid using the same number for agentPhone and agentCallerId – telephony carriers will not connect a call when those numbers are the same. You will not be able to merge in the agentCallerId value – enter it using International number format starting with +countrycode, for example: +13125551212. You may want to instruct your agent to enter this number in his/her smartphone’s contact list with a name of “Hot Lead” so that these calls will be treated with priority when they arrive. The userId is the ID number Infusionsoft assigns to each User who can login to your Infusionsoft account. It is a non-zero number. The userId is used by turboDial to assign proper ownership of the Note record that is added to the Contact when a call is placed. In many cases you can use a merge field to insert the userId as shown above. The record is an option to have this phone call recorded beginning when the contact answers. You can set this value to ‘yes’, ‘no’ or ‘ask’. If you set it to ‘ask’ your agent will be given the option to record the call. The country is the Country in the Contact’s Billing Address, and is used by turboDial to properly format the phone number. If the Country field is not filled in for a Contact and if the leadPhone phone number is not in International dialing format, then turboDial will configure the number for use in the United States. You will use a merge field for this as shown above. Scroll further down to see an image of an actual HTTP POST showing these Name/Value pairs. The next set of Name/Value pairs are the Call Outcomes. This set of Name/Value pairs is optional and you do not need to include them in your HTTP POST. 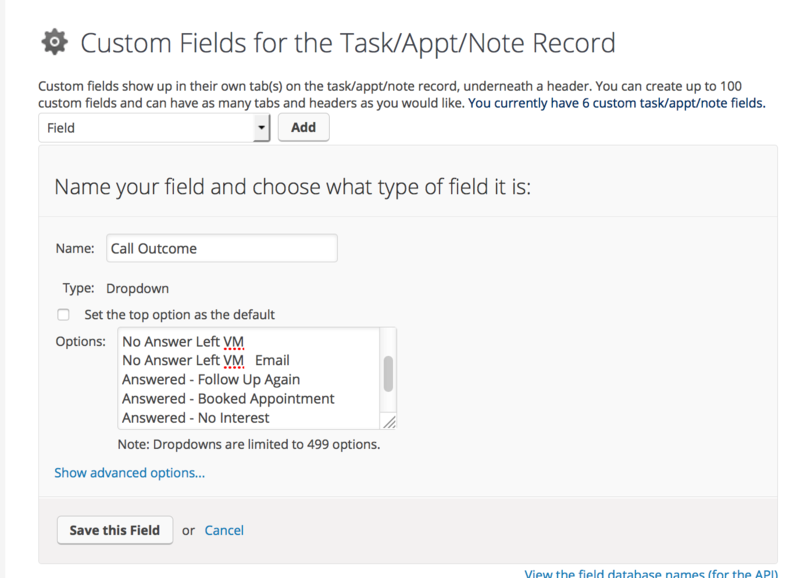 However, if you make good use of the Call Outcomes features in turboDial then you should consider adding these fields. When your agent has completed their conversation (or left a voice mail) with the Hot Lead contact, he/she can be offered choices to apply a Call Outcome for the call. Up to 10 Call Outcomes can be included, numbered 0-9. If you have defined more than 10 Call Outcomes you must choose the subset to include here so that you do not exceed the limit of 10. No Answer Left VM Email Press 3 for Answered – Follow Up Again …” and so on. Note that turboDial will be using machine generated voice to announce the Call Outcome options. If you have used acronyms and abbreviations in your Call Outcomes you may hear unintelligible announcements. Note that most of the message value is cut-off on the right. In this HTTP POST the message value is: “~Contact.FirstName~ ~Contact.LastName~ wants an appointment. Please call them now.” Thoses sentences will be spoken to your agent when he/she answers the Hot Lead call. It is very likely you will want to limit the time during the day when Hot Lead calls can be initiated. If your prospect submits your web form at 1 AM in the morning you probably do not want your agent to receive a Hot Lead call from turboDial at that time. The Hot Leads feature does not limit the times for you. You will need to setup your Infusionsoft campaigns so that the Hot Lead Call HTTP POST is not executed at a time when you do not want a Hot Lead call to occur. The sequence called “HotLead Call w/ Timer” contains two flows, called “swim lanes”. The top swim lane has a timer that insures the Hot Lead Call HTTP POST is only executed between 8:00 AM and 5:00 PM on a weekday. The bottom swim lane applies a Cancel Tag after 15 minutes and that tag completes a Tag Goal that cancels the entire sequence. So, the result is if the Hot Lead event occurs during the hours of 8:00 AM to 5:00 PM on a weekday then the Hot Lead HTTP POST will execute and your agent will receive a Hot Lead Call. But if the Hot Lead event occurs outside those hours then no Hot Lead call will occur. Note, the final step in the campaign is to remove the Cancel Tag so that it can be used again with this Contact.